Getting Your Ex Girlfriend Back By Ignoring Her- Does It Work? That’s how the famous quote goes, right? But does it hold true when it comes to ex girlfriends. Can ignoring her actually help you get her back? Well, that is what I intend to explain to you today. But I have been doing this for half a decade and I might actually be in one of the best positions to give you concrete data on if ignoring your ex girlfriend is the right move. Why am I in such a great position to do so? Well, I’d like to show you something. Now, I realize that this video is aimed at women but it gives you just an idea of how many success stories I have in my inventory to draw from and you had better believe that there are just as many men in there as women 😉 . So, Does Ignoring Your Ex Actually Help You With Her? Last year I filmed a video with my buddy Brad Browning. The premise of the video was pretty simple. We had decided that we would take questions from our listeners and go head to head with each of us offering our own unique perspective. The No Contact Rule = You ignore your ex completely for a certain amount of time with the intent of making her miss you while at the same time cultivating your own personal life. Now, there is a lot more to making the no contact rule work for you but I don’t have the time or patience to fully explain it right now. Instead, if you are interested in how it fully works then I would like to direct you to my huge article on it. Of course, if you have spent any time researching this topic you would know that there are generally two mindsets revolving around it. Mindset 1 = You should do the no contact rule after a break up no matter what. Mindset 2 = You shouldn’t do the no contact rule because it is a bad idea. Now, I’ll be the first to admit that I definitely fall into the “mindset 1” camp. However, that doesn’t mean that there aren’t flaws with my thinking. The way I see it is that the no contact rule always has risks involved. Yes, it’s true that if you ignore your ex for 30 days (generally the standard) that there is a chance your girlfriend could get scooped up by another guy. It’s true that if you ignore your ex she could grow angry at you and decide that you aren’t worth her time. After all, these are the main arguments presented by those with mindset two. Nevertheless, if you are anything like me lets take a look at what the statistics are saying. So, I want to preface this by saying that every statistic I am about to lay down for you was gathered by my own independent research using my own personal success stories with helping clients get their exes back. There are two statistics I want to show you today. 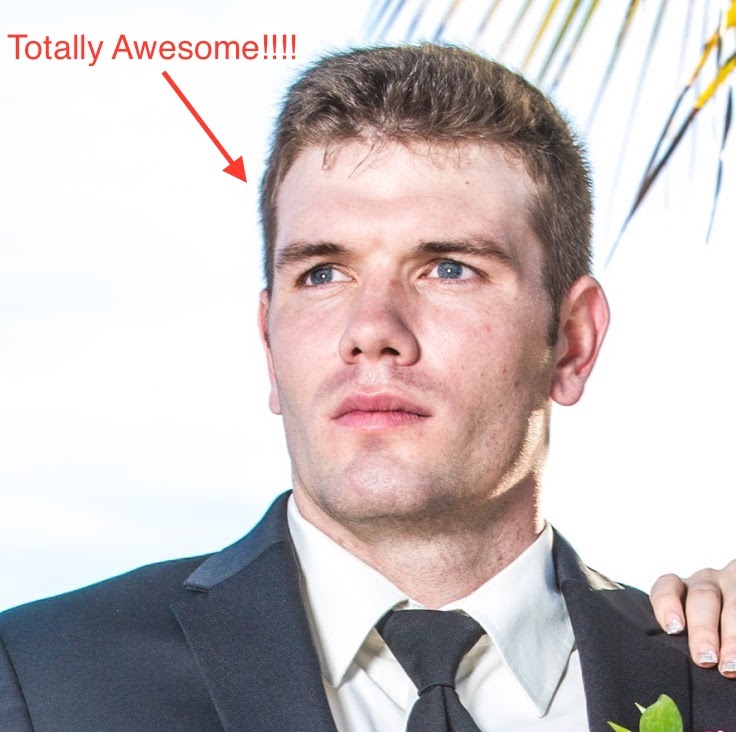 Lets begin with looking at all of my success stories in general. Hmm… I wonder what the men and women who are successful in getting their ex back are doing versus the men and women who aren’t. And with that I set on a quest to find out. Now, I will be the first to admit that I am not exactly the most organized person in the world. Therefore, when it came to compiling a list of all of my success stories I didn’t know where to start. They were scattered all over the place. And to make matters worse I had three separate computers, an iPad and an iPhone. So, after spending about 3 hours gathering them all in one place I eventually started reading them all indvidually and started taking note of any pattern I found that began to develop. It turns out that the men and women who got their exes back utilized the no contact rule. 70% of them to be exact. Now, lets talk about that 70% number because make no mistake that is a very big number. Believe it or not but I have a strong belief that, that particular number is greatly watered down. You see, I counted every person who told me that they used the no contact rule. In other words, they didn’t give me any more information regarding their success other than that. Therefore, I am willing to believe that, that 70% number is actually a lot higher and I think I might have some concrete proof to back it up. We determined that we were going to use Facebook as a platform since it is so popular among everyone. Anyways, as 2017 began to pass by more and more women entered the group and we found that a very high rate of women were seeing all kinds of successes. In particular, I began to notice that almost every single success story that we had gotten as a result of working with people in the group had utilized the ultimate “ignoring” tactic, the no contact rule. If you want specifics, 95% of people who got their exes back in our private support group utilized the no contact rule. Now, I don’t know about you but that is significantly higher than that 70% number mentioned above, huh? Well, I think there are two factors that impacted its insane growth. People in the private support group are people that I actually get to know personally. Therefore, I get in-depth details on how things are going with them and their ex. In other words, whenever someone gets their ex back I get all the juicy details about it. If you’ll recall that was a major problem with the first statistic. While I would get a lot of success stories I never got anyone to fully elaborate and tell me if they used the no contact rule or not. The no contact rule/ignoring via it, works extremely well as a strategy for getting your ex back. Have you ever heard of the theory of reactance? Reactance = It’s a psychological fact that when someone has a freedom taken away they will react in a way to try to get that freedom back. So, lets consider your ex for a minute here. By doing this you are essentially using actions (not words) to tell her that you are removing her freedom to talk to you. Now, according to reactance we know that when a human being has a freedom removed they are going to react in a way to try to get that freedom back. So, how do you think your ex is going to react? She is probably going to go batsh*t crazy trying to get her freedom to talk to you back and it’s in this process that something fascinating happens. Trust me when I say that women who are used to having men wrapped around their fingers (and believe me when I say that you are totally wrapped around her finger) aren’t used to being in a position where they have to chase a man. So, by forcing her to chase you, you are going to hold ultimate value to her. So, that’s a little of the science behind how ignoring an ex can make her miss you but if you’ll recall in my little definition of the no contact rule I had mentioned that, that isn’t it’s only purpose. It’s also an opportunity to cultivate your own personal life. Now, I realize that this video may be a bit dated and the production qualities of the videos I do now-a-days are much better but everything I said in it still holds true. 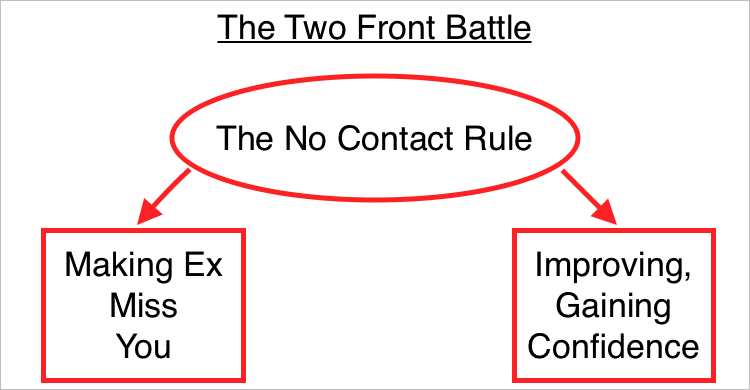 The no contact rule is really a battle on two fronts. Each of these fronts can work together seamlessly to drastically improve your chances. Let’s say that you enter your no contact rule and you don’t do anything but eat ice cream, drink beer and gain a bunch of weight. Well, when the time comes to actually talk to your ex you won’t really be projecting the strong confident attitude that you need to project to win her over. Now lets compare that to if you had taken your no contact period seriously and you did all sorts of amazing things with your life. 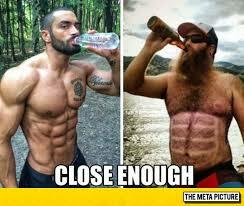 And lets go a step further and say you are posting this progress on social media and getting all kinds of attention. Essentially what you will have been doing is priming your ex girlfriend to want to talk to you because while she is suffering NOT talking to you she is going to be seeing you have the time of your life. It’s going to make the time that you do actually talk to her that much more special.